The previous robot prototype chassis did not work very well on high friction surfaces (carpets, grass etc.). Thus prototype 2 was born. The problems were caused by 2 things as far as I can tell, trying to skid all 4 wheels and also having 4 motors that did not have enough torque. This lead to Prototype 1 stalling frequently when rotating. 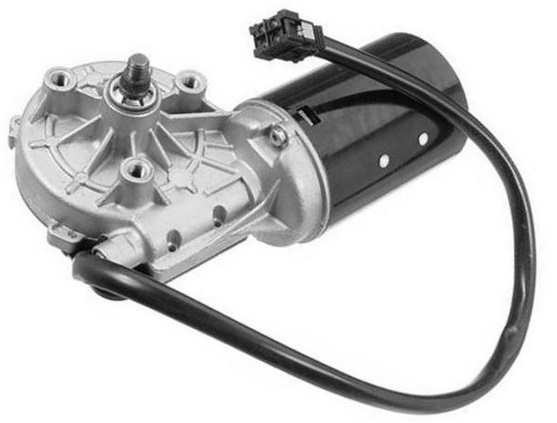 A DC motor is a DC motor…. right? No, it’s not always that simple. Windscreen wiper motors are fairly cheap when bought second hand from a scrap yard (where I got mine from) and give very good torque for larger robotics projects. You’ve just got to be aware of a couple of things before getting started. I’m building a robot which will have sonar and IR ranging units for navigation and 2 cameras on-board allowing for stereoscopic vision. 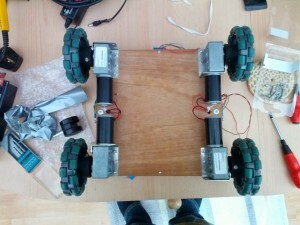 Here is my first go at putting together a prototype wheeled robot chassis. 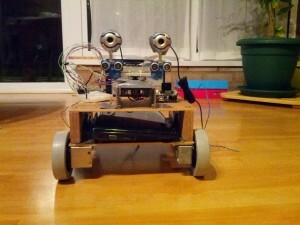 As you can probably see here it will be controlled by an Arduiono at the very lowest level. Controlling the Arduino will be an embedded Linux system, e.g. a raspberry pi or banana pi, having a radio / wirless link for accessing the Linux system. I’ll post the results of how it drove on various surfaces. 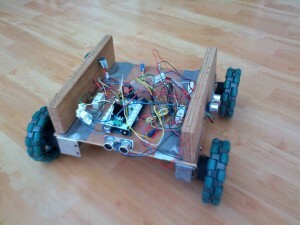 Here’s one with the cameras on-board and the old wheels which i replaced with the above omni-wheels. Edit: The robot is having difficulty turning on very thick fluffy carpet. It looks like more power is required. 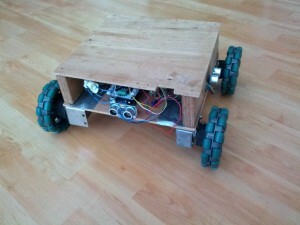 I am currently working on a prototype 2 chassis that I will post here.